Rigid hanger supports are used to support suspended pipe work and restrict vertical and lateral movement. 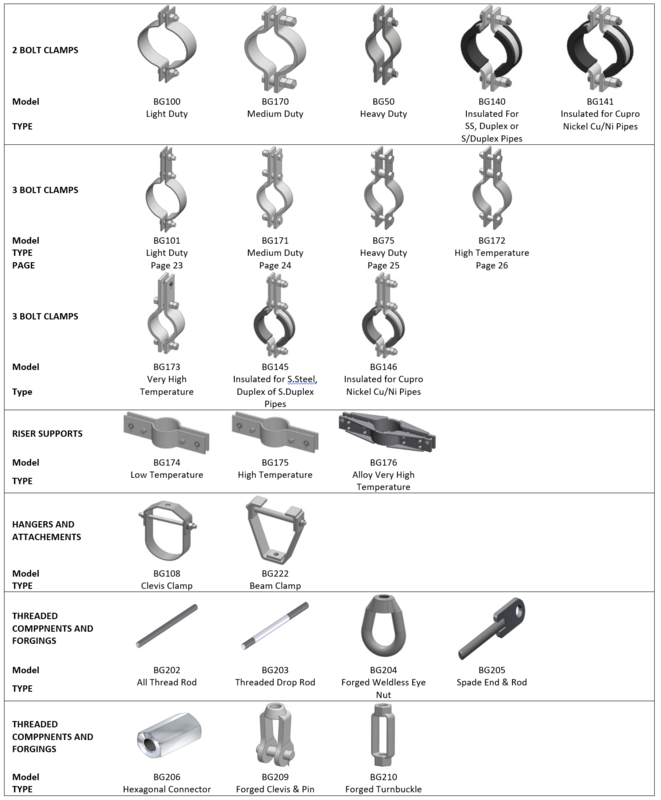 Versions of Rigid Pipe Supports include 2 and 3 bolt clamps as well as pipe riser supports. Binder manufactures supports in a variety of materials, finishes to suit a variety of load, temperature and environmental requirements. Binder’s range of Rigid Supports are complimented with a comprehensive range of Clamps, Threaded Rod and Forged attachment fittings.